ASA of Malta president and new LEN Bureau Member Joe Caruana Curran. 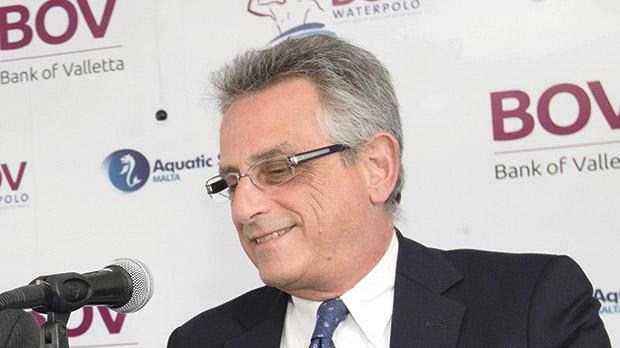 Joe Caruana Curran, the Aquatic Sport Association of Malta president, will be serving on the LEN Bureau for the next term following a vote held in England, last weekend. Caruana Curran was among the nine delegates elected as LEN Bureau Member after a ballot that included 19 nominations. It was the first time that he had tendered his nomination for the post in the European governing body for water sport. Elections were held at the end of the LEN Elective Congress which was staged at the East Winter Garden in Canary Wharf, London. For the first time ever, all 52 member federations at LEN attended the assembly, emphasising its importance. In a statement, the ASA said election to the LEN Bureau is a great honour for Caruana Curran and the Maltese aquatics association. “Election to the LEN Bureau was a just reward for all the hard work carried out by ASA president Joe Caruana Curran in his time in office, culminating in three European Championship qualifications for our national teams these past 18 months,” the ASA said yesterday. Italian Paolo Barelli was reconfirmed as LEN president for the next four years after obtaining 77 votes as challenger Dutchman Erik van Heijningen only garnered 27 votes. Britain’s David Sparkes is the general secretary and Tamas Gyarfas, of Hungary, treasurer. The five vice-presidents are Dimitris Diathesopoulos (Greece), Sven von Holst (Sweden), Francis Luyce (France), Christa Thiel (Germany) and Andriy Vlaskov (Ukraine). In London, the ASA of Malta was also represented by general secretary Rita Azzopardi.